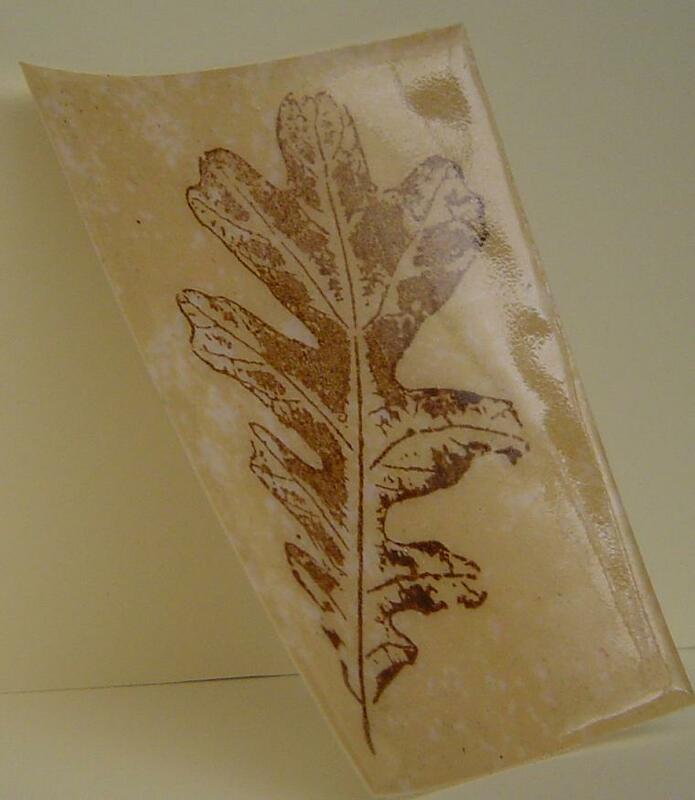 The cracked glass technique is a combination of heat embossing and distressing. Start with a stamped image. 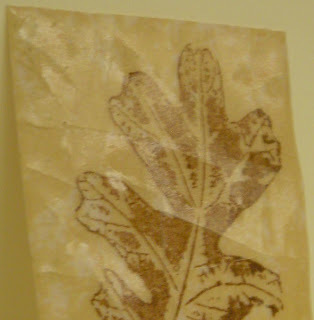 The pictured image is stamped on a piece of designer paper which gives it an extra-weathered look. 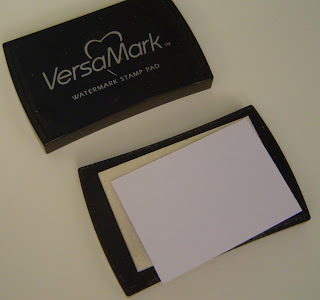 Cover the entire surface with Versamark direct to paper. Heat emboss the image with clear embossing powder (not pictured). 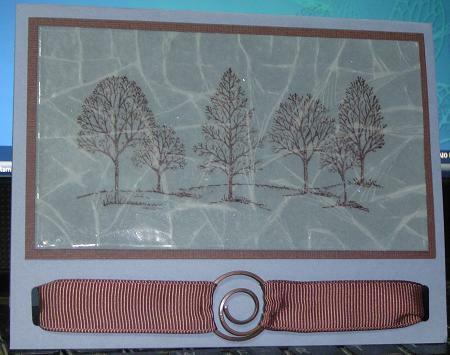 Let the embossed image cool/dry completely. Repeat the embossing process (Versamark, clear powder, heat, let cool completely) about four times. 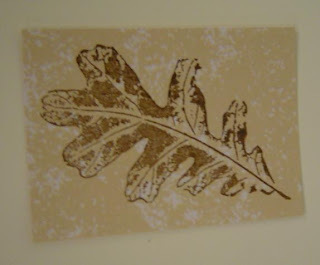 with practice you'll get a feel for how thick you want the embossing to get. 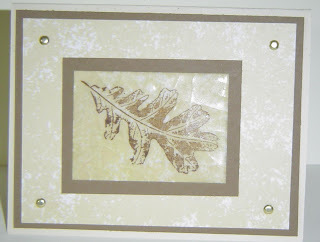 To get the cracked glass look, bend the embossed image until the embossing cracks. Don't be afraid of messing it up; remember it's just ink and paper, and you can start again if you need to. 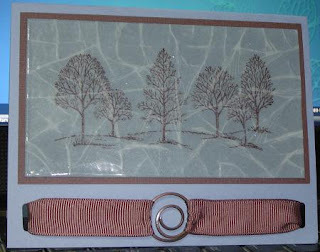 Note - if the embossing just bends and doesn't crack, it is either not thick enough or it didn't dry/cool long enough. Tip - If you're trying to get a crack in a specific place and bending isn't working, try poking the back side of the paper with your fingertip. Really interesting idea! How do you think this great stuff up and why doesn't my mind work that way! Thanks! Very creative!! Can't wait to try it! !